Continuing the Conversation on Referral Marketing. Referral marketing is the most important acquisition channel of the next decade, letting marketers drive measurable and reliable customer acquisition at scale by leveraging a unique resource: their current customers. 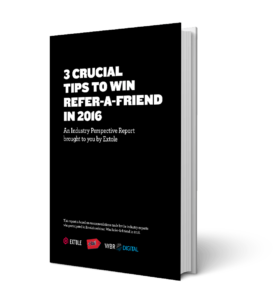 In Spring of 2016, Extole’s referral experts started a conversation on how brands can supercharge their referral strategies and inspire their advocates. This report takes a look at what they discovered, and keeps the conversation going around the high potential channel of referrals.